I thought it might be nice to revisit these tasting notes over time. You may recall the early tasting when this strong saison was still very green. In just a few weeks lagering, this has really turned a corner. Below, I will mark the previous comments as ET (Early Tasting) followed with my current evaluation in italics. (ET) Pours a deep orange with a head full of large bubbles. This still needs more conditioning and carbonation. The body is thin, as expected, but is not watery. Head quickly faces to a ring of white. 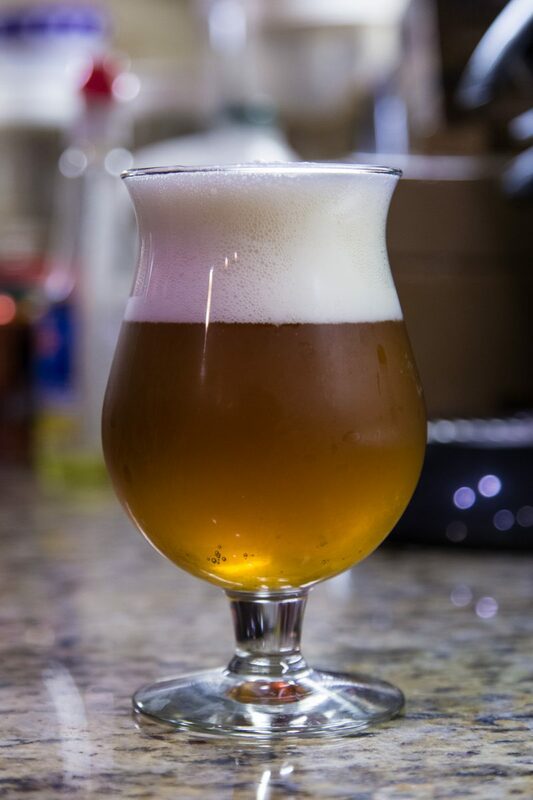 Conditioning has created a firmer but fluffy white head with much finer carbonation. The deep orange body remains thin, but with finer carbonation. Head falls more slowly leaving a nice lace. (ET) Full of aromatics, yeast phenolics just under a light citrus aroma. No malt. Better carb may bring more aromas as the head dissipates. Aroma is more forward, with a sweet grape like hop aroma. Phenolics from the yeast are less harsh. Higher carbonation releases aromas during the sip reminiscent of sparkling white wine. The grapes and berry remain, with a bit more tartness from the carbonation. Subdued funk and phenols. Hops are starting to mellow slightly and alcohol taste is more subdued. (ET) Thin body, not watery. Needs more carbonation. Body, mouthfeel remains thin, but desirable for this category. Drinks more like a sparkling wine than a heavier tripel or strong golden. 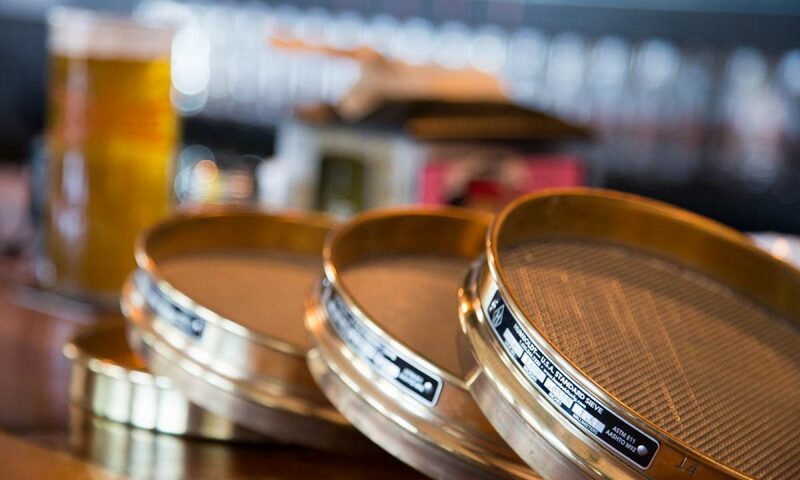 Carbonation and acidity helps clear any malt from the tongue. (ET) Very happy with how this beer is turning out. Nelson Sauvin spins this otherwise fairly traditional saison into something special. 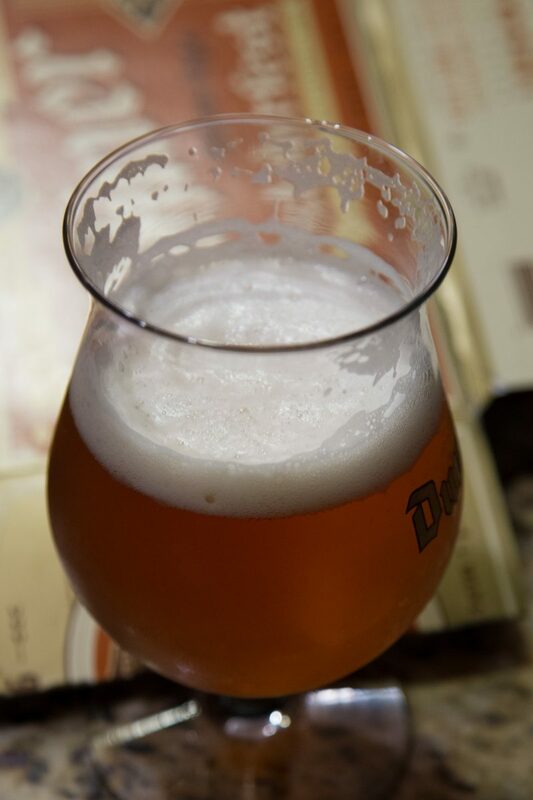 The wine-like characteristic, with the high alcohol, makes for an interesting finished beer. Looking forward to how this may age. Will bottle several 750’s for longer term aging when this is carbonated properly. I took 2 bottles (forcecarbed, in belgian bottles with cork and cages) on the trip to Colorado for Thanksgiving. One was a gift and the other consumed with Thanksgiving dinner. It was a real compliment to a fairly traditional turkey and dressing dinner. While some chill haze remains in the kegged saison, the bottles poured extremely clear and crisp. I can only assume the trip with the jostling may have helped to clarify (under ice the whole way). I am most wholeheartedly happy with this beer and will brew it again. I am sure it will continue to change over time and I look forward to that experience. Nelson Sauvin is surprisingly delicate given it’s high Alpha Acid content, and just might become a staple in my brew house. Saison remains one of my favorite and most interesting styles that can shift to wine-like or simple tabletop applications. I am very interested to see how this might pair with some smoked poultry or pork, and be used in a glaze or sauce with some spicy elements!